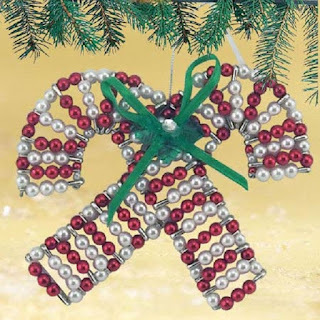 I like this idea, most especially for young people just starting out to build their own stash of ornaments. It's inexpensive and when made by a couple or a young family, can also be a happy memory of togetherness each year. Little things like this become a family tradition, and I can't think of any memory sweeter than making candy cane ornaments.